These days fitness goes beyond the road or the gym. Many folks have opted for at home online workouts. Gixo is a player in that space. I was tagged in to take a 3 month trial of the app and I’ve been playing with it. I teach at the gym several times a week and I also train Brazilian Jujitsu several days a week, as such my time for at home training is limited. However, I’ve wanted to take more Yoga classes, so I decided to try those out for the time being. 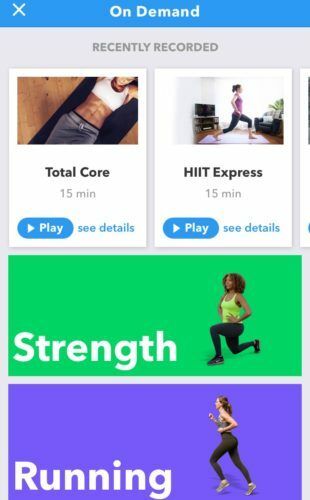 I took an “on demand” yoga class. The instructor in the class was live and guiding us through the practice. Throughout the practice there is video illustrating where we should be, and his vocal guidance prompts us as well. It’s pretty cool, and with the exception that I’m doing it at home, its more or less the same as being in a group exercise class at the gym. There are many classes throughout the day, some longer and some shorter too. There is something for everybody in this app. If you are interested, you can go to their website and get a free trial. Totally worth a look, especially if you are unable to get yourself to the gym.